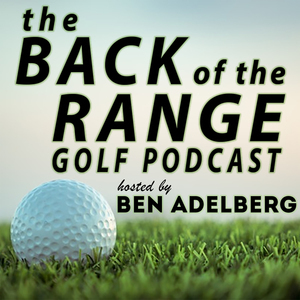 We found 10 episodes of The Back of the Range Golf Podcast with the tag “amateur golf”. Our guest this week is Rick Woulfe from Fort Lauderdale, Florida. He's played in 25 USGA Championships, with most of them occuring after his turned 35 years old. He's played in British Amateurs, British Senior Amateurs, he's served on the US Mid Am committee, shot his age of 67 in a State Mid Amateur. And won the State Mid Amateur at the age of 62. Think about that.....a 62 year old winning a tournament where 25 year olds can enter. Our guest this week is Jeronimo Esteve! Jero is very proud of his Puerto Rican heritage and has competed in the Latin American Amateur Championship, the World Amateur Championships, and has competed in numerous USGA championships. We talk about how he ended up playing college golf at Dartmouth, how he balances a busy family life with his golf ambitions....and the story of the 2011 United States Mid-Amateur that all started with a routine visit to the tailor to get a suit for his sister's wedding. Our guest this week is Casey Martin, Head Coach of the University of Oregon Men's Golf Team. Before leading the Ducks to the National Championship in 2016, Casey won a national championship as a member of the 1994 Stanford Cardinal team that included Notah Begay. We spoke about his days on the PGA Tour, lessons from Tiger that he's shared with his current players, and his thoughts on his landmark case against the PGA Tour nearly 20 years ago. Our guest this week is Garrett Barber from the LSU Men's golf team. Following his win at the Jones Cup earlier this year, Garrett was granted an exemption into the 2018 RSM Classic, his first PGA Tour event. We spoke about his transition from a small school in Hobe Sound, Florida to joining one of the largest freshman classes in the history of LSU. Garrett also participated in the Junior President's Cup and had some great stories to share about his captains, David Toms and Jack Nicklaus.